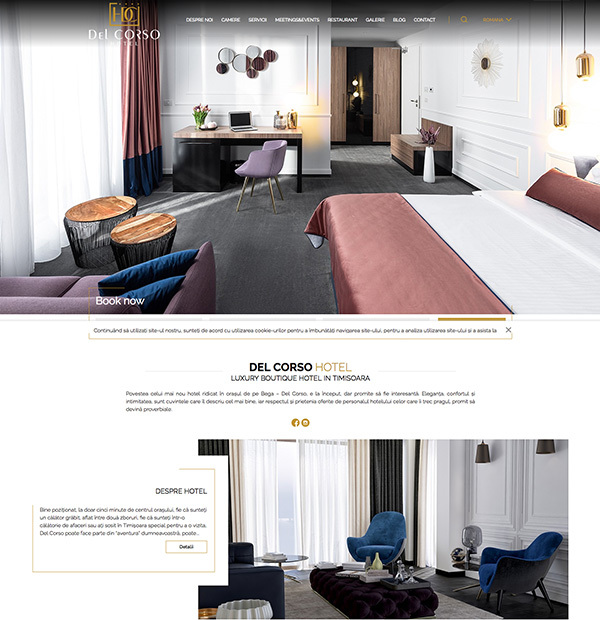 Royalty Webdesign has developed the official presentation site for Hotel Del Corso **** Timisoara. 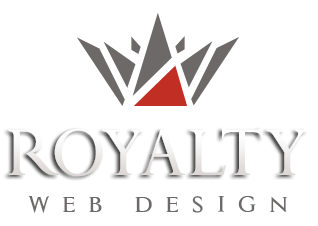 Luxury hotel website design, boutique hotel website design. The 4-star Hotel, located 5 minutes from the center of Timisoara, is a building with a unique design, built in modern contemporary style. This boutique hotel has 39 superior rooms, an Argentine-style restaurant and a conference room. The presentation site made for this luxury hotel in Timisoara is a modern and stylish one. With a minimalist, responsive design, the web page shows information about facilities, services, rooms, restaurant and conference room. It also contains a blog section as well as a booking module connected to the Booking.com platform.